Singaporeans have well and truly mastered the art of the wave. I don’t mean the organised chaos that is the rise and fall of bodies during national day celebrations every year. Or the supposedly-slick gyrations of inebriated twenty-somethings in clubs all over the country. No. What I’m referring to is the hand-waving we do on a daily basis, reserved solely for dismissing strangers who approach us on the street. Every now and then, the wave is accompanied by an apologetic smile or a polite excuse of having somewhere else to be. As soon as a Singaporean spots an advancing stranger in the crowd, the meme on their phone magically transforms into one of Shakespeare’s latest works, studied with such concentration that everything else ceases to exist. Which is generally fine. Insurance agents at roadshows and the teens who hand out flyers only have to deal with their bosses’ disapproving looks after having failed to meet their targets or KPIs. But in our blanket indifference towards these street solicitors, we often forget that there’s a group of them that has a more noble cause which desperately requires our attention: Flag Day volunteers. 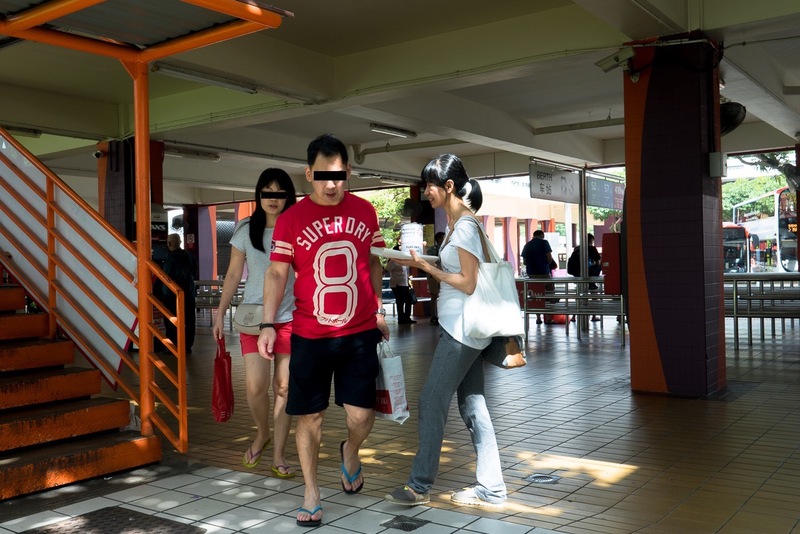 Bright and early on a Saturday morning, eighty people gather at Bishan MRT station. Unlike the station’s usual commuters, this group is comprised of volunteers, athletes and family members of Special Olympics (SO) Singapore, and they’re here to participate in the organisation’s Flag Day 2018. Set up in April 1983 as an adjunct committee of the Movement for the Intellectually Disabled of Singapore (MINDS) and the Association for Persons with Special Needs (APSN), and now an independently registered National Council of Social Services (NCSS) voluntary welfare organisation, SO Singapore aims to both promote and provide training and competition in a variety of Olympic-type sports for anyone with intellectual disabilities (IDs). SO Singapore believes that sports can and should be used as a platform for the holistic development of their athletes, and so the non-profit voluntary organisation offers all of its programs free of charge to any individual with an ID in Singapore. But there are still bills to be paid. Today, the group of eighty has risen to the challenge of raising funds to meet staffing needs (sports development officers & sport officials/coaches), facilities rental (office & sports facilities), equipment costs, and other programmes’ related expenses. But from what I discover, the term “challenge” might be a bit of an understatement. 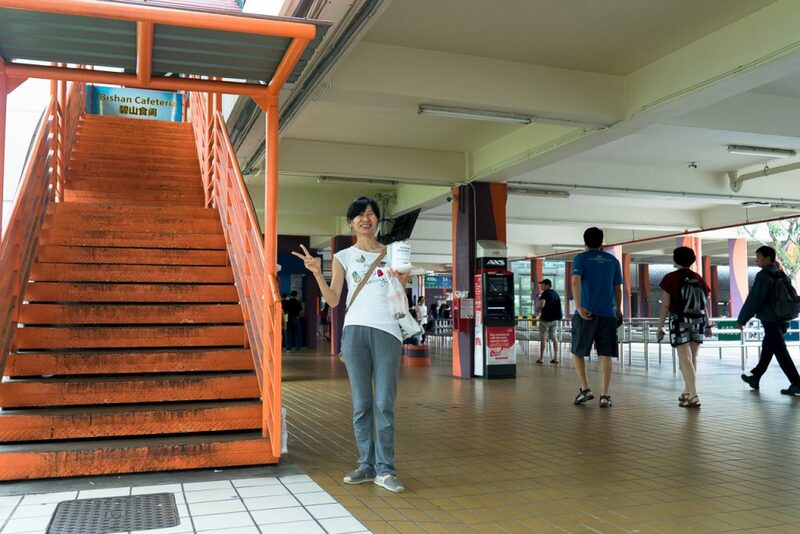 Mdm Tan Poh Lan, a flag day volunteer. Sixty-two-year-old Madam Helen Chong, who volunteers regularly, is a member of the SO family support network. 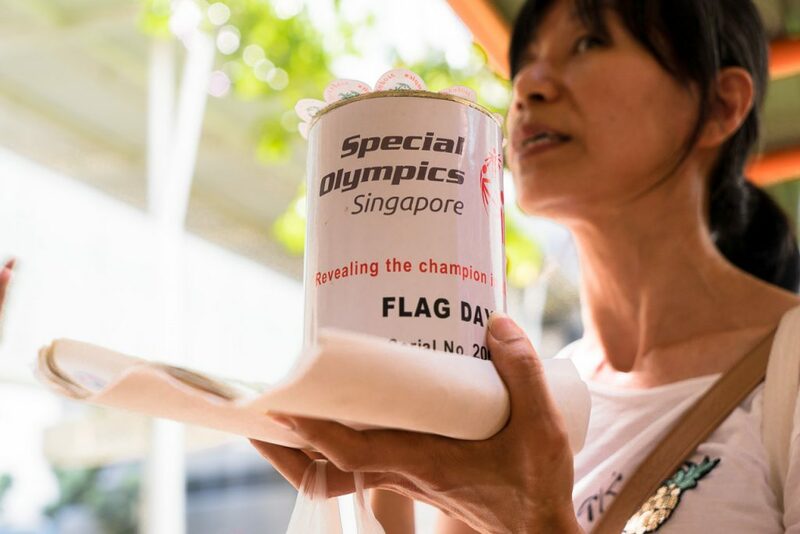 In addition, her twenty-four-year-old son, a SO Singapore athlete leader who enjoys sports and has Down Syndrome, is also here as a Flag Day volunteer today. Madam Chong tells me that there are moments when it’s not easy. Facing rejection is part and parcel of her job, and with experience, she’s learnt to take it in her stride. “Yes, I get rejected and ignored quite frequently but it’s okay, I understand. You really have to prepare yourself because there’s also the flip side, where people stare at you and scrutinise everything. No matter what it is, you still have to be cheerful!” she says. 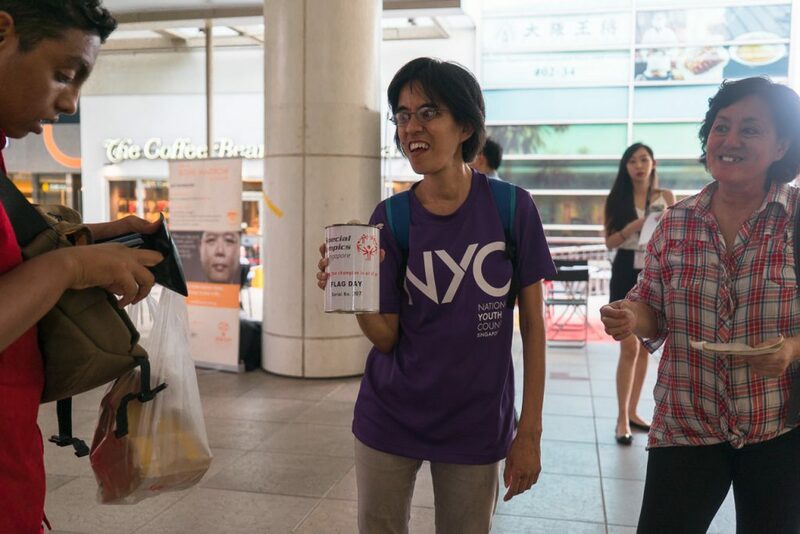 That said, Madam Chong has been surprised on several occasions when passers-by whom she approached tell her they don’t have small change, and make good on their promises to return and donate. A few metres away stands Madam Karen Yeo who’s in her 50s. Similar to Madam Chong, Madam Yeo’s twenty-five-year-old son also has ID and is a Special Olympian in the sport of badminton. Madam Yeo tells me that there’s definitely more awareness about their cause as compared to years ago. Naturally, this translates into a decent proportion of the individuals donating when she approaches. She goes on to share that even though there are instances when people come forward themselves, they are mostly few and far between. Once again, rejection – albeit politely – is a common plight for Flag Day volunteers. “Sometimes when I get rejected, I start to wonder why. I guess it could be that they don’t know what our cause is or where their money is going to. If they aren’t keen on donating, from far they already siam you; they put their earphones in and pretend to talk on the phone. At least I think is pretend la. Who knows, they could genuinely be busy!” she says with a smile. 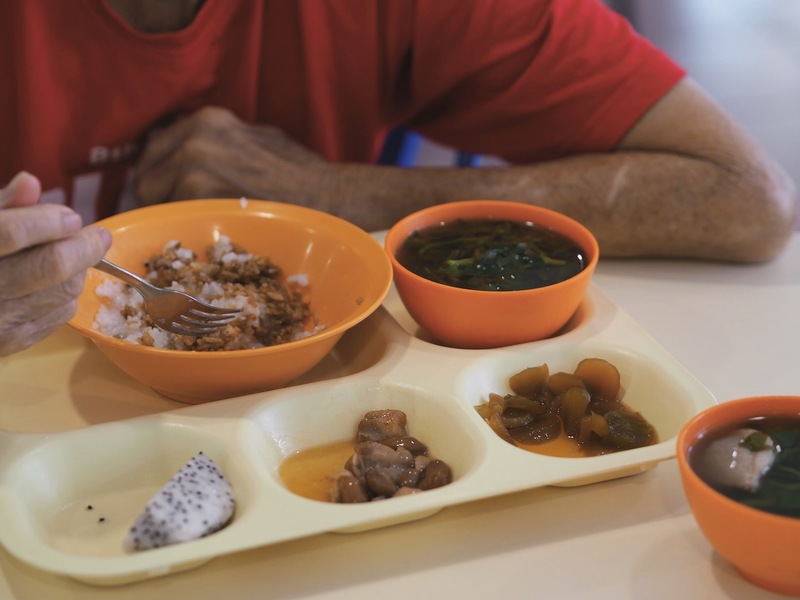 While it’s true that SO Singapore needs funding, it’s not just money that Madam Yeo hopes to raise, but the morale and dignity of individuals with IDs as well. Through today’s volunteering, Madam Yeo hopes to make a difference to society and teach her son how to look after himself. Such is the beauty of a mother’s love that Madam Yeo willingly stands for hours on end and faces rejection after rejection on Flag Day even though she has become more aware of other areas in which to volunteer. Teh Qing An, 25, an SO athlete. One of the “younger folk” that Madam Yeo mentioned is fifteen-year-old Jazlene Tan, a SO Singapore athlete. A hint of pride in her voice, Ms Tan tells me that she’s a swimmer. Next March, she’ll be headed to Abu Dhabi to participate in the 2019 Special Olympics World Summer Games. As our conversation moves from the future to the present, the glitz and glamour of being an athlete competing on the world stage starts to fade when she speaks of the constant rejection she faces during her time at Flag Day. But just like everyone else I’ve spoken to, Ms Tan tells me that she understands that people can be really busy. By giving people the benefit of the doubt, she feels “okay” whenever she’s rejected. Instead, she just looks for another person to approach. Jonee Chan and Ngan Yu Xun, unlike Madam Chong, Madam Yeo and Ms Tan, are both secondary 1 students who have no personal affiliation with SO. Today, they’ve chosen to use their talent and time to help the community and it’s their first time participating in Flag Day after getting involved through their school’s Values In Action (VIA) programme. Aside from the unifying experience of rejection, that’s where the similarities end. Describing Flag Day as “quite difficult”, Jonee explains that she’s a self-confessed introvert and finds it daunting to approach strangers for fear of rejection. In spite of this, she persisted. On a more positive note, Yu Xun says that Flag Day actually turned out better than expected. She had envisioned facing lots of hand-waving, but to her surprise, strangers were forthcoming and donated quite readily. Yu Xun shares that while her collections might not make up a significant amount, it’s still a difference for those in need. Pausing for a moment to collect her thoughts, she continues. “They might not even care about the cause altogether,” she finally adds. SO athlete Chopard Jacqueline and her mother with a donor. 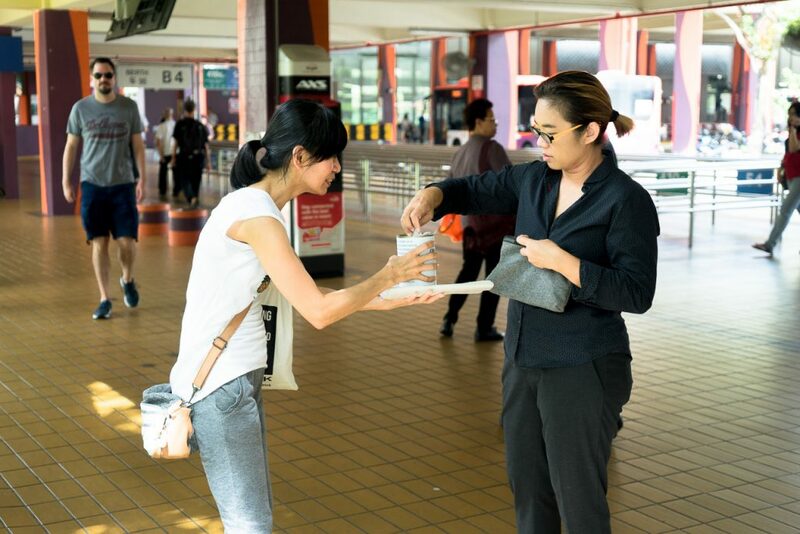 As someone who normally ignores anyone who canvasses for donations on the street, I find my mindset changing as I spend time with the Flag Day volunteers surrounding Bishan MRT station this Saturday morning. My initial assumption of Flag Day volunteers being schoolchildren who only do so to better their Community Involvement Points on their CCA certificate, was clearly wrong. Instead, there exists people who believe in the causes they’ve chosen to help, regardless of whether or not it directly impacts them. 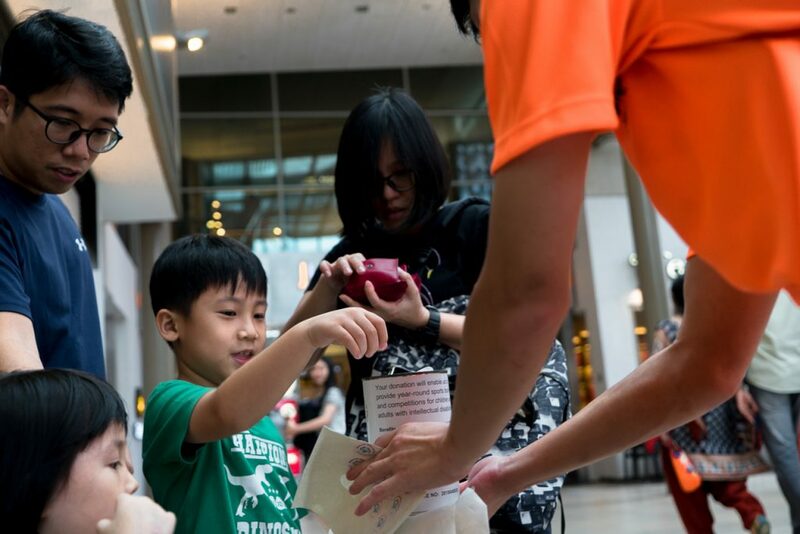 At the same time, according to Ms Shirley Soon, SO Singapore’s sports development officer and the officer in charge of today’s Flag Day, the public is more inclined to donate to volunteers who have obvious disabilities. Which says a lot. The moment we happen to see anyone carrying a donation tin, many of us make a snap judgement as to whether they’re in need of assistance based on how they look. As a result, we don’t bother taking the time to understand their cause and fail to recognise that different people need different kinds of assistance. The only physical aspect of any fundraiser we should concern ourselves with, is that donation tin. Perhaps the least we can do the next time we meet a flag day volunteer is afford them a few minutes of our time to listen to what their cause is, where the money is going to, and how it’s going to make a difference before deciding if we want to donate. But cash is only one way to help. This Giving week, why not go the extra step and donate your Time, Talent, Treasure and Voice to a whole host of different causes? What people may not realise is that little acts, when multiplied by the millions, can make a world of difference. And it’s about time we turned our cold, clinical hand-waves into the warm and welcoming arms of an inclusive community. Giving Week isn’t just about giving. 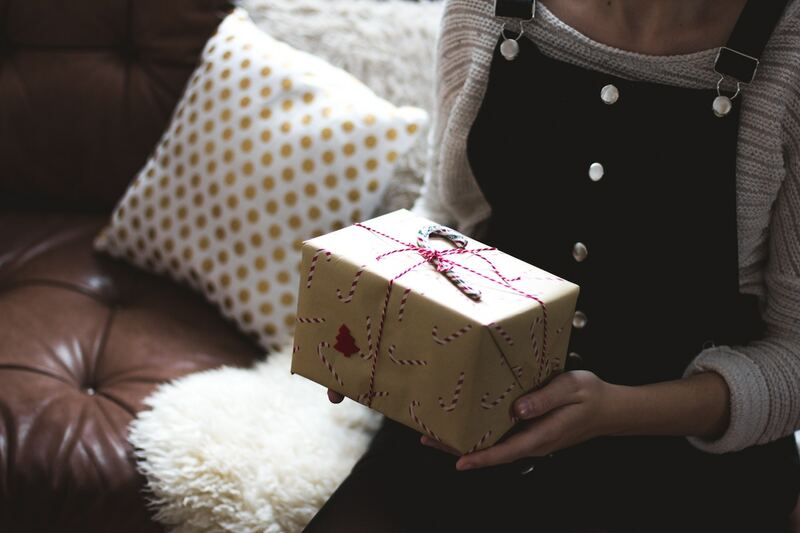 It’s also about understanding why we give, and who we’re giving too.